There have been many aspects within the Open Air School project that we have found immensely promising and encouraging. 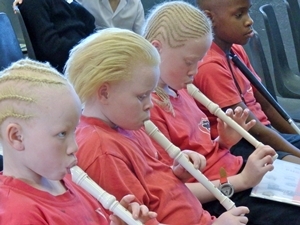 From a musical point of view we have inspired many children with the love of music and thirst for this knowledge. One of our blind learners is taking his first exam through the Royal Schools of Music at the end of August which is a great achievement for any child but even more so for a student who cannot read his music but relies solely on his ears. A lot of the children have made very good progress on their instruments and are not only learning to play but are also being taught about music in general. The history of music, musical terms, and various different instruments. The children have been inspired to learn about music on their own and often come to school on a Monday with excited stories about a new term they have learnt or an instrument they have seen and want me to explain what it is. Some of the older learners who are learning the ukulele love the instrument so much that they take the initiative to download pop songs, (mainly Justin Bieber! ), and learn to play them on their own. Through our method of teaching when they learn a piece we often clap the rhythm and say the notes of the music. For example: A A B C B G, or whatever the piece is that we are playing. This has helped selective mutes who refused to say a single word when they entered their music class over a year ago now feel comfortable enough to speak in the class. The fact of them repeating the letters, all as a group, gives them the confidence to say what they need to say. I try to instil the most safe and secure environment within these classes to let the children feel confident enough to be free and voice everything they need to voice. Be it in relation to the music or another aspect of their life. 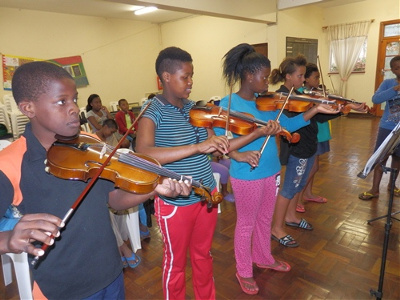 The Albert Park precinct was chosen in 2000 to be the site of the Durban Music School because it was felt that this position would be one which could serve the whole of Durban and outer areas the best. Children from all over KwaZulu-Natal have easy access to the school as it is in the center of Durban and very close to the major taxi ranks. It is also easy to access from the embankment and highways. The main concern of the school is to be able to offer quality musical training to any child who wants to learn to play a musical instrument and our Development program has become a huge part of our work. We now have over 300 children on full music bursaries which means they are given an instrument, practical and theory lessons once a week, they are entered into internationally recognized exams through Trinity or Royal Schools of Music, London and are given sheet music. When they reach a certain ability they audition for one of the ensembles and are trained to perform in an orchestral situation. 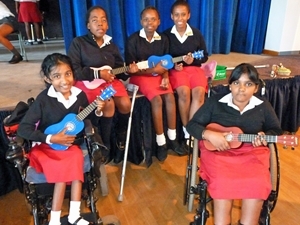 We held a concert at Durban Children’s Homes, home Lakehaven for the learners who are having lessons there. 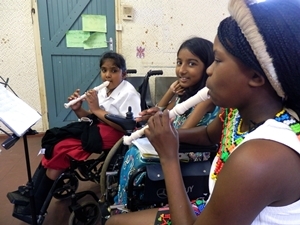 We send 4 teachers to Lakehaven once a week and 47 children receive music lessons. Many of the children are street children. 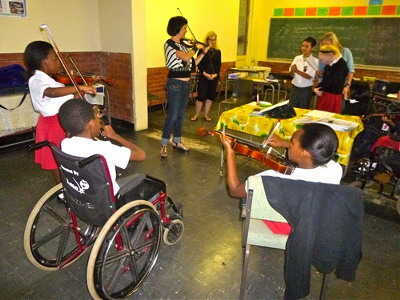 We showed the progress being made at the Open Air School for the physically disabled, as we now have many learners on individual instruments and we have started a big violin project there with 16 children now taking lessons to learn to play the violin.